WE HAVE A CHOICE OF UNITS TO CHOOSE FROM WITH TYPICALLY LESS THAN 400 HOURS. SHIPPED WITH VEIWFINDER. 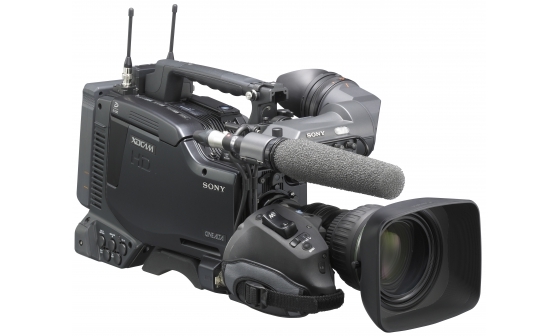 Sony’s top-of-the-line XDCAM HD422 Series is being embraced around the world for its file-based recording capability utilizing high-capacity and highly reliable Professional Disc media. 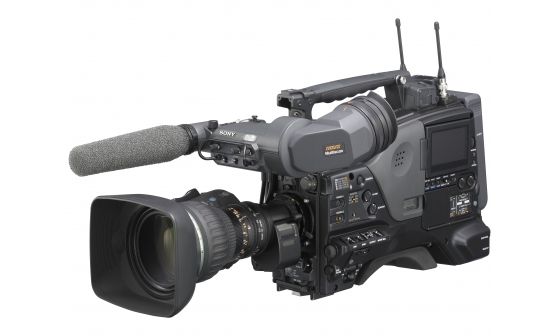 Thanks to its newly developed MPEG HD422 codec, the XDCAM HD422 Series provides high-quality video and audio recording capabilities, with an image resolution of 1920 x 1080 and eight-channel 24-bit uncompressed audio. 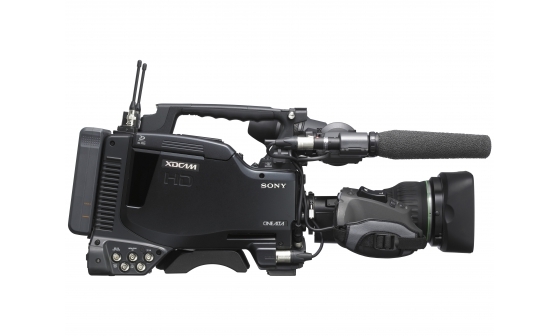 Now, Sony is proud to announce a powerful new addition to the series – the PDW-F800 camcorder. In the Sony XDCAM series of products, recordings are made as data files in the industry-standard MXF (Material eXchange Format) file format. This allows material to be handled with great flexibility in an IT-based environment – easily available for copying, transferring, sharing and archiving. All these operations are accomplished without the need for a digitizing process. 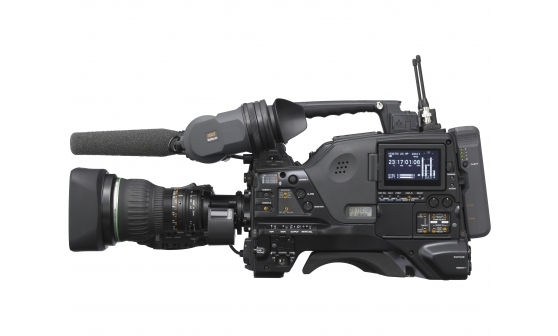 The PDW-F800 XDCAM HD422 camcorder comes equipped with IT-friendly, computer-based interfaces. These include an i.LINK interface supporting File Access Mode as standard, and the Ethernet interface*. At the same time as recording its high-resolution video and audio data, the XDCAM HD products also record a low-resolution version of this AV data on the same disc. Called “Proxy Data”, this is much smaller in size than the high-resolution data (1.5 Mb/s for video and 0.5 Mb/s for audio). Because of its lower resolution, Proxy Data can be transferred to a standard PC at an amazingly high speed, and easily browsed and edited using the PDZ-1 Proxy Browsing Software (or other compatible editing software offered by many industry-leading manufacturers). What’s more, with the PDZ-1 software, it can be converted to the popular ASF format for playback on Windows™ Media Player, providing dramatic improvements in production workflows. Proxy Data can also be viewed directly on a PC without data transfer using an i.LINK (File Access Mode) connection, and can even be sent over a standard Ethernet network. 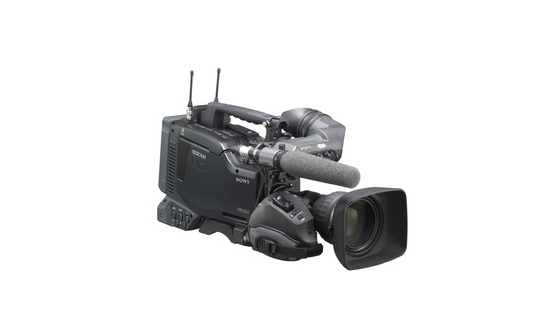 All XDCAM HD422 products are capable of recording a variety of metadata, which provides a huge advantage when searching for specific data after an initial recording has been made. 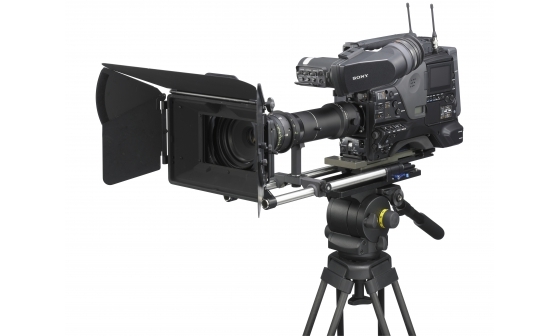 Information such as production dates, creator names and camera setup parameters can be saved, together with the AV material, on the same disc using the supplied PDZ-1 software. This makes it possible to organize and search through all recordings effectively. One particular metadata, called EssenceMark™ (Shot Mark), is a convenient reference that can be added to desired frames to make them easy to recall in subsequent editing processes. Clipflag is another convenient metadata which users can add to their desired clips as “OK”, “NG” or “Keep”.